Tell us about your role and the team/technology you handle at YouAppi. 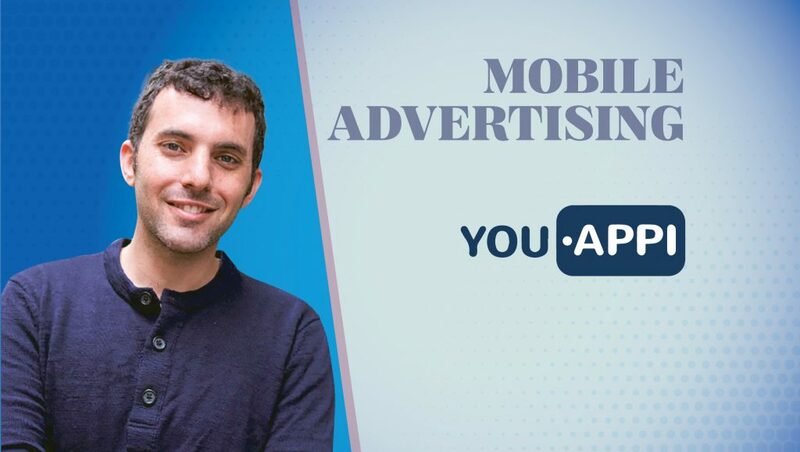 I joined YouAppi earlier this year to help move the company into the programmatic space and expand its’ business offerings. YouAppi has a ton of performance data gathered from years of leading the install and post-install in-app mobile business, and we are now working on making that data more useful in the programmatic landscape. We’re in the process of making our technology offering more accessible to programmatic buyers and brands that execute their spend programmatically. My role includes a combination of strategy in adding programmatic product capabilities, in addition to our performance know-how, and business development with the bigger programmatic players in the ecosystem. How much has the mobile advertising landscape evolved in the last two years? I think the mobile industry has been going through a deep cleansing period in the past two years. As the unique data within the in-app environment becomes more transactable, the in-app media is becoming both more trustworthy for marketers and more granular in terms of targeting. I believe we will continue seeing exponential growth in the in-app space. As the programmatic ecosystem cleans up in its entirety, I believe that in-app programmatic will become a preferred execution path for buyers and brands in general. The D2C (direct to consumer) trend will continue growing, and in-app media will continue to be a great place to harness that growth. So, in short, mobile advertising has evolved tremendously in the past two years, and will continue evolving with more and more clean growth. Could you tell us about the critical nature of data and data segmentation in programmatic advertising? I love to compare this to traditional media, or even old-school digital advertising. When I started working in this industry, we mostly talked about clicks and artificial engagement. As big data became a more trustworthy utility in our industry, marketers learned how to precisely target the users, or the actual segments they are interested in reaching. Who can assure, that 100% of prime time TV viewers are within the target demo of a brand’s campaign? With programmatic, we can use data to at least narrow the margin of error and reach a guaranteed match with the desired pool of people who brands intended to receive a specific campaign. The capabilities are just getting better, and at YouAppi we want to not only target the right users, but also optimize towards the desired action a brand is interested in achieving. Which businesses do you cater to with your programmatic for targeting the customers? How does it drive ROI on programmatic inventories? First and foremost, YouAppi helps brands, marketers and companies interested in mobile user acquisition hit their desired users and perform more efficiently. By doing so in a programmatic setting, ads and impressions are seldom “wasted.” As mentioned, we try to take that to the next level and optimize the performance data we have to increase the probability that a desired user will also act accordingly. So, any brand that wants to initiate and convey a full message, interact or generate a completed video view with a desired group of people, we are working on doing exactly that. Our ability to create a wide selection of profiles based on our data will help sharpen any brand’s delivery of a message. Sounds big, but that is exactly what we are working on. How does programmatic unlock opportunities in mobile growth? I do believe we will see a lot of growth in the mobile programmatic ecosystem in the near future. The granularity of targeting and the surge in mobile usage makes the in-app environment a great opportunity for marketers interested in programmatic. There is a healthy adoption of initiatives such as the Open Measurement SDK and other verification methods that will help marketers trust the in-app media as an outlet for their spend. At YouAppi we believe that apps are becoming increasingly integral to users’ lives, as they access almost 40 a month and spend three hours a day in apps according to App Annie. In fact, eMarketer states time spent on mobile will surpass time spent on TV in 2019. Tell us more about the idea of programmatic marketing inventory and how do you promote it at YouAppi. This is an interesting question. In my time since joining YouAppi, I noticed that some of the traditional supply assets that have worked well on the performance business are similar to the known programmatic supply assets in the in-app environment. The blend of demand we offer our publishers is a full suite of yield opportunities and our publishers see more interest in our growing programmatic offering as well. The more data enrichment we offer on existing inventory combined with how YouAppi monetizes it, will help brands see an uplift in the effectiveness of programmatic buying on our platform. With our customers we have launched the “Better Together” initiative, which provides a holistic mobile marketing solution, user acquisition, retargeting and brand video which strengthens the brand awareness of any given brand. What are the major trends and predictions do you see in the programmatic space? One thing is a guarantee, this industry is ever-changing and the change happens rapidly. I think in-app mobile is in the process of regaining trust in the programmatic execution path, new mediums are being introduced and are adopting the programmatic execution paths, and ultimately, we see that programmatic spend is growing year-on-year. I also believe that we will see more growth in video, as we see the trend of video consumption moving more towards mobile. Good video is hard to come by, and when a brand identifies good opportunities, it will usually lead to a transaction with the seller. Overall, consolidation will continue and there will be less players, with a much more impactful offering. How do you orchestrate your technology to clean up ad fraud within the programmatic space? I am personally committed to creating a clean and transparent marketplace so that our buyers are truly comfortable with the transactions they are seeing, and see immediate ROI on their spend. YouAppi uses a multidisciplinary approach to tackle our industry’s ad fraud wrongdoing. We have a team of fraud fighters who work around the clock to monitor the activity on our platform, we have our own tech to support that monitoring activity, and we use industry leading vendors to make sure everything is kosher to back up our clean marketplace. As we don’t like to jump our own news, I can’t say much here. However, rest assured YouAppi is moving forward and constantly evaluating all of our product offerings to ensure we continue to be the leading growth marketing platform for premium mobile brands. How do you see AI and Location Data further disrupting the era of mobile programmatic growth? I think there is a huge opportunity with AI and location data within programmatic, and within mobile in-app more specifically. 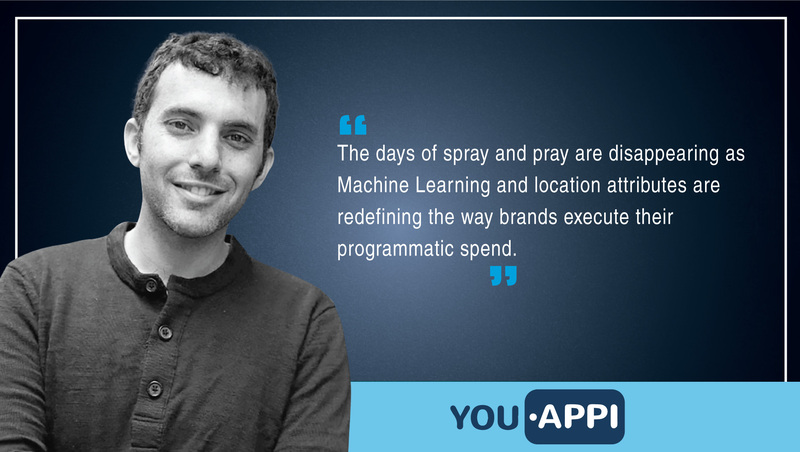 The days of spray and pray are disappearing as Machine Learning and location attributes are redefining the way brands execute their programmatic spend. Instead of focusing on the cheapest programmatic impressions, AI and location data help brands understand which ad to which user will generate the most desired result — including when and where should such an ad be served. This will change the programmatic landscape by improving the match rate between specific campaigns and the actual ad opportunities available. Ultimately, there will be less noise and we’ll be able to become much more intentional and efficient in how brands transact programmatically. Elan Carter is Vice President of US Programmatic Strategy at YouAppi — a fully managed 360-degree growth marketing platform for premium mobile brands, designed to dramatically increase acquisition and retention of high-value customers for the world’s hottest mobile brands. YouAppi offers the first comprehensive 360 platform for premium mobile brands, designed to dramatically increase acquisition and retention of high-value customers. The platform combines the power of Machine Learning and Artificial Intelligence to deliver a highly optimized user journey that begins with awareness, propels toward purchase and continues to deliver via re-engagement. YouAppi delivers unprecedented insight into the mobile user experience by analyzing mobile content of over two billion users, converting data into profitable users.